I am making Asian pork lettuce cups this week. The filling for lettuce cups is meat heavy with a deeply flavored sauce. I wanted my second dish to be simple and elegant. 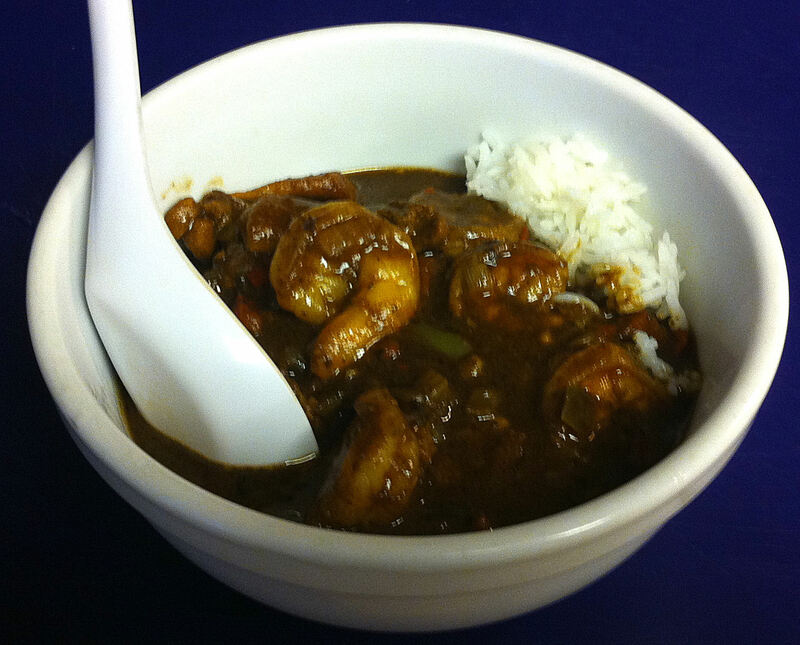 Last week, I made Szechuan salt & pepper shrimp and it was so popular Jan wanted something similar this week. 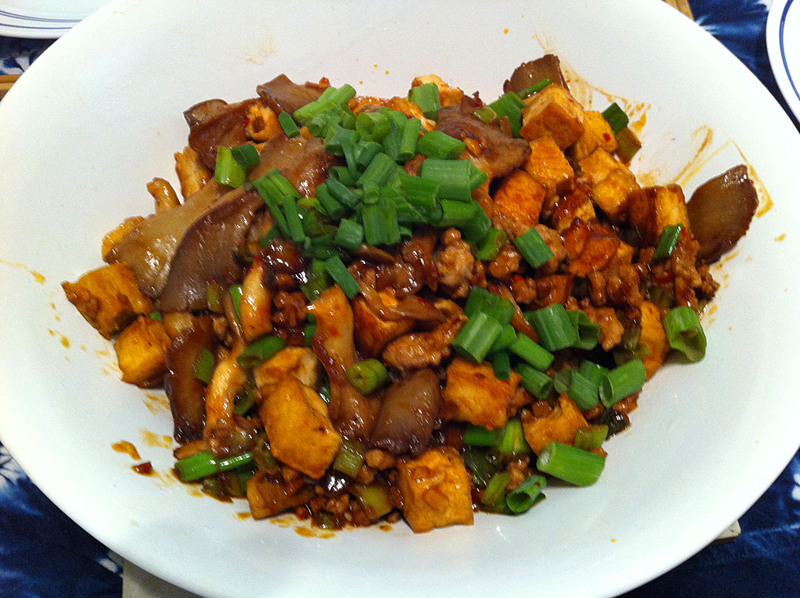 Anyone for Szechuan salt & pepper scallops? I love pocket breads. 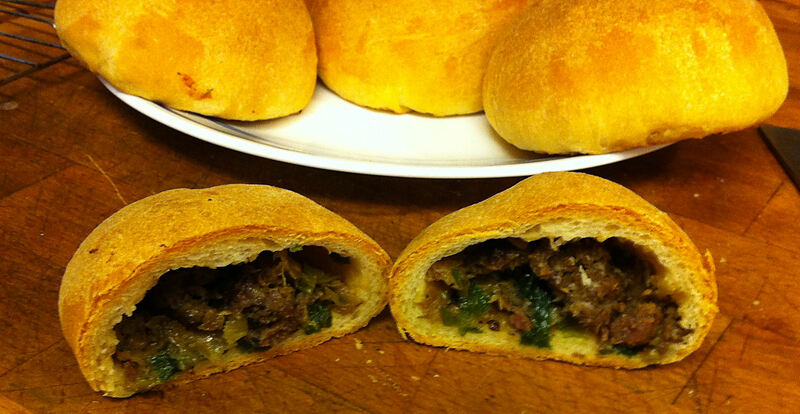 I have recently been experimenting with bierock, the Volga German pocket breads. I have settled on the right proportions of bread to filling and I have decided to start branching out. What other fillings could I put in my “pockets?” Today, the answer is Chinese pork. Bierock are Volga German stuffed breads. The Volga Germans were brought into Russia by Catharine the Great for their “modern” technical skills. However, their cooking was not one of those skills. Many would consider both German and Russian traditional cuisines a wasteland—there is only so much you can do with cabbage, flour, potatoes and a little beef when you do not have access to, or can afford, fancy spices. 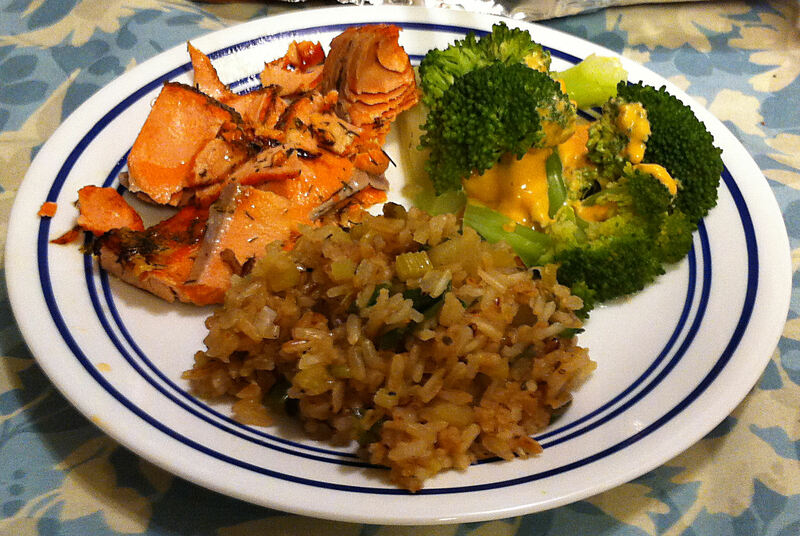 I am making broiled salmon with dill tonight and I wanted a starch dish to go with it. I thought apples and rice. Then, I thought green onions and tarragon would fit in nicely. I am making “chicken under brick” and a ciambotta. The ciambotta usually contains potatoes, but I have one diner who is on a diet that excludes potatoes. When Eilene heard that there was going to be no potatoes in the meal she said, “No Potatoes! 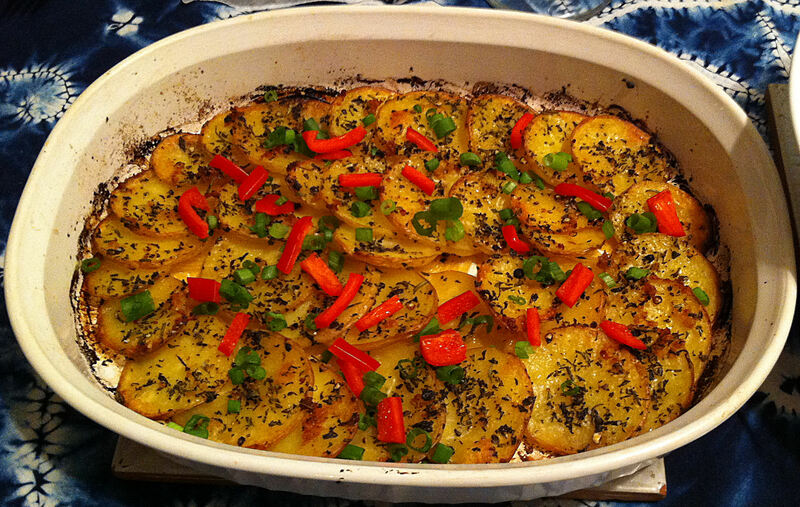 !” To try and please everyone, I decided to make a separate potato dish. Miriam was working in Rome this week and she was coming back through Chicago. Needless to say, it took her two days to get back and she is exhausted. As a result, the kids are not coming over this Sunday for dinner. Instead of my usual feast, I will be making a gumbo, a Louisiana signature dish. 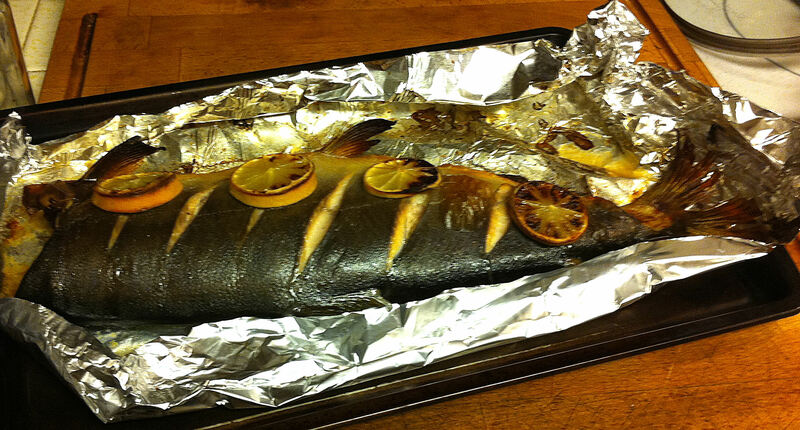 I was shopping at Lucky supermarket and I noticed that they had whole salmon for $3 a pound. It may have been a weekday, but I could not pass that up. Personally I prefer to barbecue salmon, but it is a weekday and with all of the fires in California it has been constant “spare the air” days. Jan has not been home for dinner the last several nights (four conferences in one week). The one night she knew she would be home was Thursday and she asked for steamed fish. This is normally Eilene’s night with her friends, but finals are coming up so she had told me that they would not be coming over. 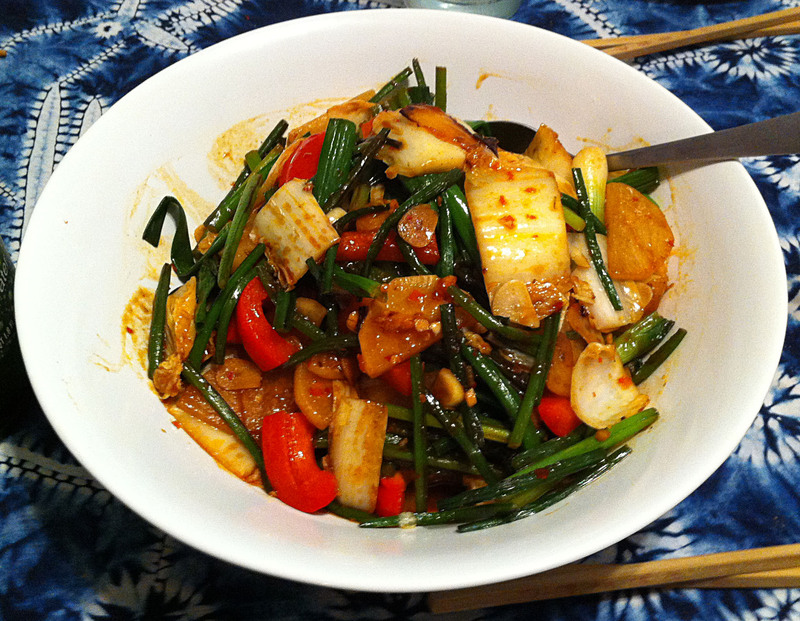 My dinner plan was for steamed fish and stir fried chive stem. I am making a pepper and salt roast chicken and I wanted a side dish. The kids really like mushrooms so I chose oyster mushroom. The mushrooms are fairly pricey so I am stretching the dish by adding tofu. The rest of my meal is so fancy, plain rice seemed bland. 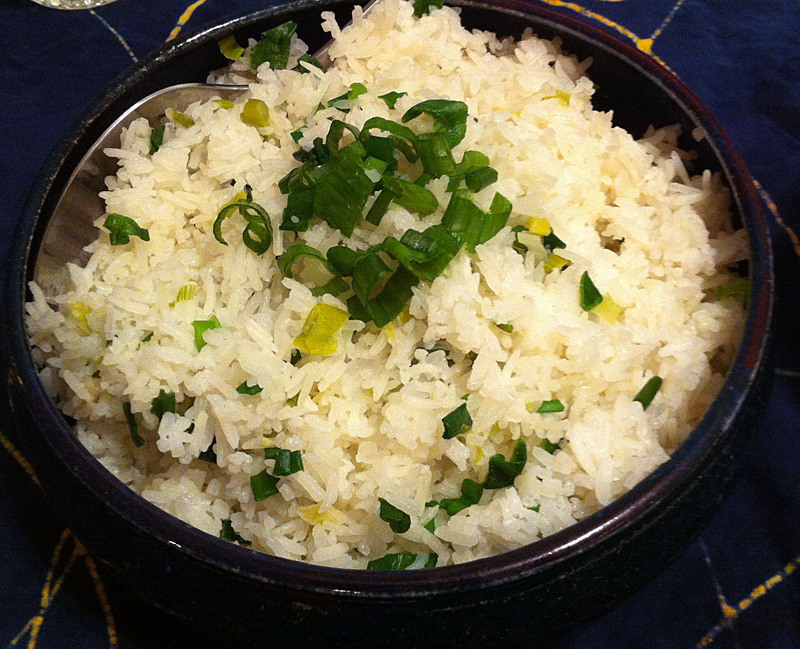 A few weeks ago I made confetti rice with Chinese chives. That technique should work just as well with scallions (green onions).